Back in late October last year, the Court heard argument in Garza v. Idaho on whether the “presumption of prejudice” for ineffective assistance of counsel should apply when a criminal defendant instructs his counsel to file a notice of appeal but counsel decides not to do so because the defendant’s plea agreement included an appeal waiver. In a time where pleas account for approximately 97% of resolutions of criminal defense matters, and when appeal waivers are increasingly demanded by prosecutors, the case has the potential to offer one small procedural protection in a context in which the usual procedural protections mostly do not apply. Garza v. Idaho also will potentially reveal some unusual coalitions among the justices, and offer an opportunity to learn more about the views of the Justice whose voting record we know least about, Justice Kavanaugh. 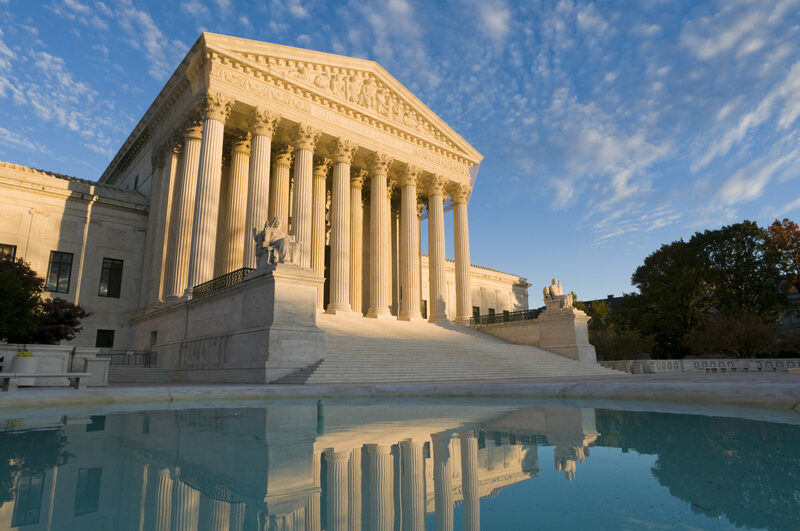 Supreme Court Oral Argument Prediction for Garza v. Idaho based on the oral argument of October 30, 2018. Elsewhere, one of us (Jacobi) has argued that what are often called “unusual coalitions” are not so unusual. Cross-ideological coalitions often occur where the rift is between pragmatists—such as Justice Breyer on the left and Justice Alito on the right—and formalists— most notably Justice Ginsburg on the left and Justice Scalia on the right. Garza is interesting because, based on our prediction, the case seems set to bridge both the liberal-conservative and the formalist-pragmatist divide. It has pragmatists such as Breyer joining with formalists such as Justice Gorsuch, both seemingly favoring the pro-defendant side. The central issue in Garza is the correct application of an earlier Supreme Court case, Roe v. Flores-Ortega. Tellingly, Ginsburg and Breyer split in that case—Breyer opting for a case-by-case approach, and Ginsburg joining a dissent in favor of an across-the-board rule. It appears that in Garza, that split among the liberals is likely to recur. Breyer appears to be sitting strongly in Petitioner’s camp, whereas Ginsburg’s first question suggested that her preference for rules may be more determinative for her here than her usual sympathies for criminal defendants, asking whether the defendant isn’t trying to have his cake and eat it, too. If we drew a map of the justices along both the liberal-conservative and the formalist-pragmatist dimensions, Ginsburg and Alito would occupy opposite corners, not just opposite sides. But in this case, Alito cross-referenced Ginsburg in the oral argument, something that we have shown to be a sign of likely coalition partners. And where is Kavanaugh in this unusual mix? In Garza, the Courtroom heard Kavanaugh emphasizing practical concerns. He stressed both that an appeal waiver gives up very little in reality, and that the circuits that have applied a presumption of prejudice have not shown any serious problem. Eventually, he drew an acknowledgment from Respondent Idaho’s advocate that there would be no meaningful practical harm if the state lost on this question. In contrast, Gorsuch asked a series of questions that all had a formalist bent, hinging, for example, on whether a right was statutory in nature, and what the traditional division of decision-making responsibilities is between attorney and client. The two conservatives seem set to agree in ruling in favor for Petitioner, but for very different reasons. It seems understandable to us that Petitioner could win on both formal and pragmatic grounds. Formally, if it is acknowledged, as almost everyone at the argument was willing to do, that there are some rights that are unwaivable—a plea waiver could surely not prevent an appeal for gross prosecutorial misconduct, for example—then which rights are waived in any circumstance is a question that must have some ambiguity, and thus require legal analysis. Consequently, it cannot be such an obvious question that an attorney can properly fail to respond to his or her client’s expressed desire to challenge. More pragmatically, Flores-Ortega emphasized that the client retains the choice over fundamental matters such as whether to appeal, and last year’s McCoy v. Louisiana embraced the client’s autonomy, even if the attorney in good faith believes it better to concede guilt in order to avoid the death penalty. Similarly, here, whatever an attorney may think of the potential foolishness of jeopardizing a favorable plea deal by appealing a potentially already waived right, it is the client’s choice to make that bad decision. The majority of the Court seemed to be saying that the Court already has practical a solution to the attorney’s dilemma: the attorney can always choose to file an Anders brief, no harm done. Interestingly, the Court’s two newest conservative justices seemed willing to consider these arguments, even though they cut across the traditional ideological conservative favor for the prosecution. In contrast, the Court’s more senior conservatives seem unlikely to budge from that position. In the case of Thomas, like Ginsburg, this can be explained in terms of formalist methodology. In the case of Roberts and Alito, two of the more pragmatic justices, that decision is harder to square other than in terms of ideological preferences. Next PostNext Ginsburg is back: is she feistier than ever?